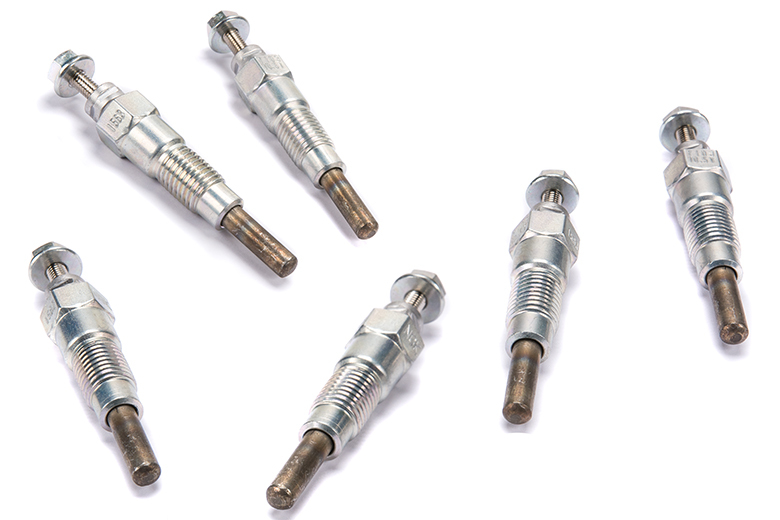 These are new glow plugs for your Scout II with the Nissan SD33NA or SD33T engine. These are the parts that ignite the oil/air mixture when starting a cold engine. Having these function is especially important in cold climates. Installing new plugs makes starting your truck each morning a breeze!